I’m a Rock The Cut Artist Ambassador For Supercuts! 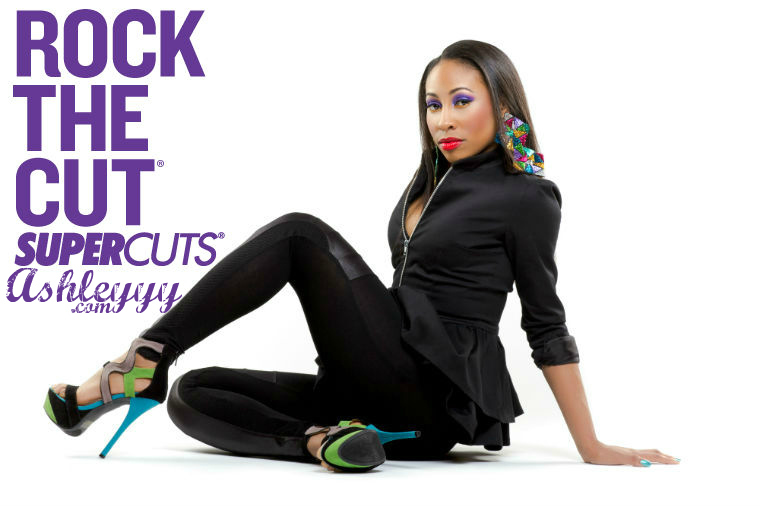 AshleYYY has had the privilege of being selected as a Supercuts Rock the Cut Artist Ambassador. This is a national promotional campaign that will include airplay in more than 2,000 Supercuts salons. 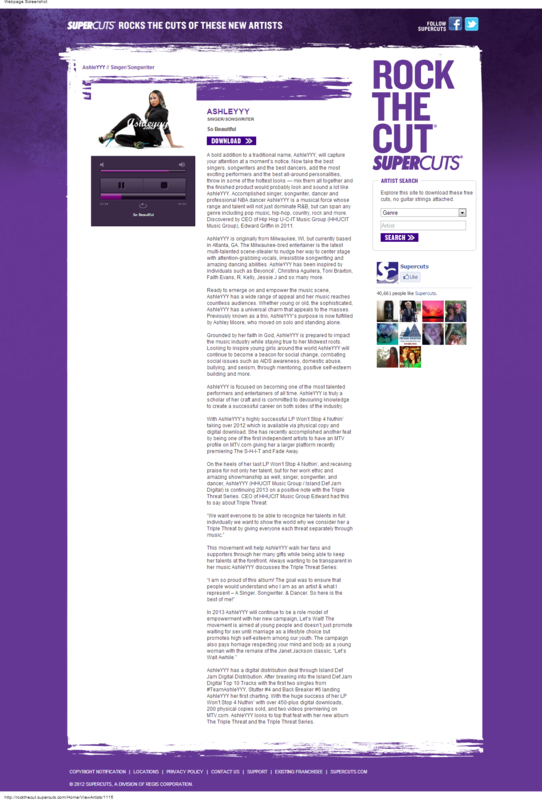 “I’m so honored to be a part of Supercuts and the Rock The Cut Artist promotional campaign, by having my brand and music attached to such a large organization is such an amazing opportunity that I’m extremely grateful for” says AshleYYY. The Rock the Cut campaign is being promoted by a national media campaign. Be sure to visit a Supercuts salon near you and hear So Beautiful.